So, you want to get into VR gaming, but you also want the portability of a laptop. You’re in luck, while in the past laptops weren’t really situated well for gaming, refinements to CPUs, GPUs, cooling, and battery life have brought the world of VR to laptops. 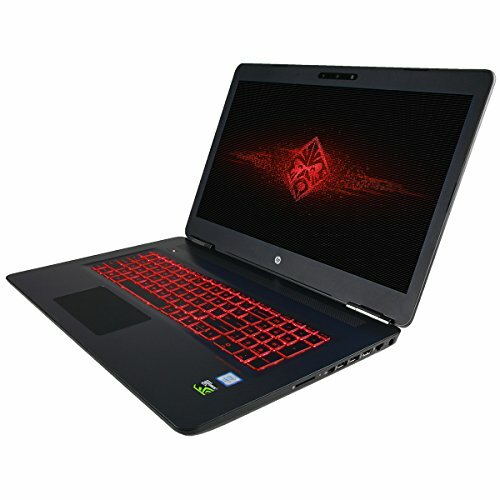 With Steam’s VR library rapidly expanding, not to mention the experiences you can obtain through the official Vive or Oculus websites, it’s the right time to look into a VR ready laptop. The first thing you should ask is, “Do I want a Vive or an Oculus?” That’s ultimately a personal choice and will be influenced by your machine’s specs, their libraries, and your budget. Both VR systems are able to interact with the Steam library. Just pay attention to which games are compatible with which headset. Each entry will have either the Vive’s triangular logo, the Oculus’ ovular logo, or both. In addition, each headset has a list of other titles not available on Steam available through their official websites. Our first entry is the RoG Strix GL520VM from ASUS. Coming in a standard 15.6” screen size and a fairly thin 0.9” the GL520VM is one of the thinnest and lightest laptops we’re reviewing. It also features dual copper heat pipes and fans to independently cool the CPU and GPU, which is nice for keeping your unit cool. The CPU, GPU, and RAM are fairly standard for a VR ready laptop. As a nice addition, the unit also has a USB 3.1 type C port. One of the downsides of the unit concerns the storage. The SSD is rather small and is SATA 3, and the HDD is only 5,400RPM. That means access times will be slightly slower than some of the other machines we’re reviewing. The battery is only 4-cell and is not separate so replacing it when consumed requires a teardown. 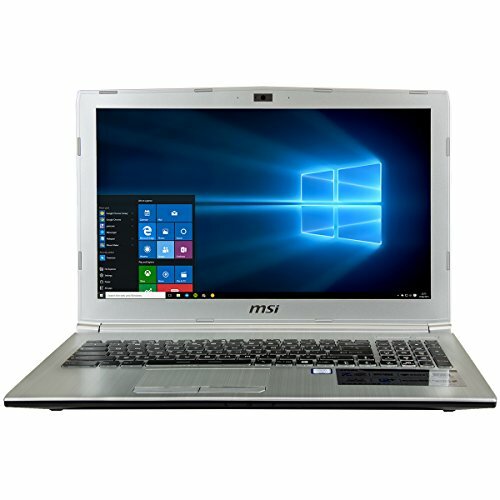 This is the first of the laptops that have been modified by Computer Upgrade King (CUK). This HP Omen has received upgrades to its stock RAM and SSD. The bump to 32GB of RAM and a 256GB NVMe SSD are rather nice and should meet pretty much all your needs. The unit should fly given these upgrades and the 8GB model of the GTX 1070. Also, the 17.3” 4K screen should be great when you’re not using your VR headset. This unit also has an integrated battery (6-cell, 95.8Whr) with a relatively short battery life given the large 4K screen, beefy GPU, and add-ons that CUK provided. Also, since the unit has been modified the original manufacturer’s warranty does not apply. However, CUK does feature a 3yr limited warranty. This is a fairly high-end machine. Another CUK upgraded laptop, this time to the MSI GE62VR Apache Pro. In this instance, the upgrades are a 128GB SATA SSD and Killer 1535 wireless card. These are decent upgrades for access speed and wifi connectivity. The SteelSeries keyboard is nice. The battery (6-cell, 57Whr) isn’t removable and has a short life of maybe 2 hrs. 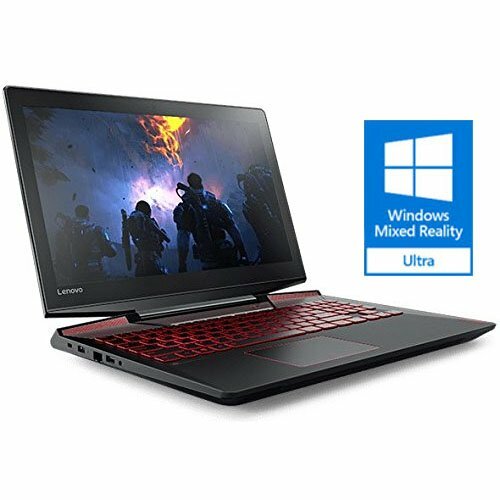 In terms of a VR ready gaming laptop, this computer rates as fairly solid but not overly impressive. 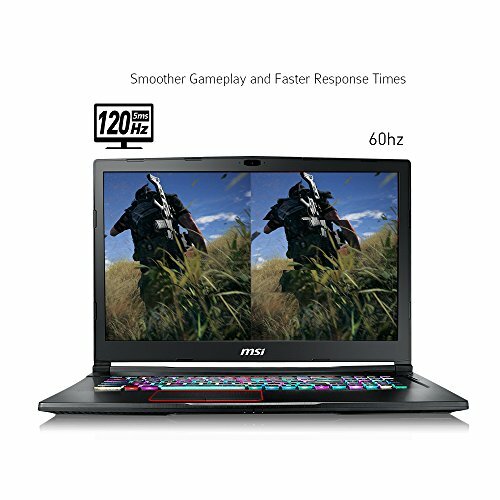 Similar to the RoG Strix above, but with slightly better keyboard, wireless card, and hard drive and the addition of an optical drive. This is not subject to MSI’s warranty but it is covered by CUK’s 3yr limited warranty. Our third CUK upgrade is the MSI PE62VR, which received upgrades to 32GB RAM and a 512GB NVMe SSD. These upgrades are great in terms of future-proofing your unit. The storage is ample, and this unit should be rather swift. MSI’s Cooler Boost technology helps keep the unit fairly cool while gaming. This features a non-removable 6-cell 51Whr battery, so once again you’re trading power for battery life. The keyboard is white backlit and isn’t RGB swappable like some of the others but that’s a fairly minor aesthetic issue. As always with CUK, manufacturer warranty doesn’t apply but the CUK 3yr limited warranty does. This unit is a step up from the RoG Strix or the CUK GE62VR above, but not as beefy as the CUK Omen 17. Eluktronics’ P650HS-G is our next entry which features a very solid GTX 1070 8GB GPU. This unit doesn’t have a standard hard drive which will reduce storage but improve energy consumption. The 512GB SATA III SSD should be adequate for most needs but isn’t as fast as a PCIe or NVMe SSD. The battery is a non-removable 4-cell 60Whr model. What sets this unit apart though is the brand. Eluktronics uses clean installations of Windows so you don’t have to waste time removing bloatware. Also, apparently the unit can handle some upgrades to RAM/HDD/SSD without voiding your warranty. 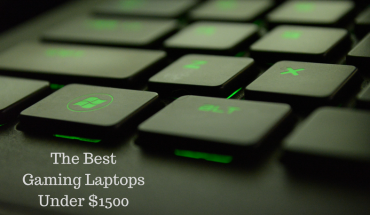 This is great if you want to get more out of the machine but worry about warranties. 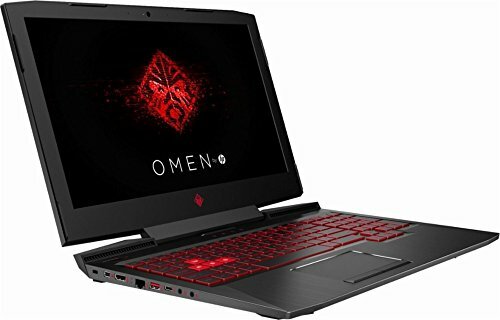 This next unit is the latest HP Omen at the time of writing this. We would consider this model to be entry level in terms of VR gaming, but it does come with some fantastic audio and design features. The unit comes with a 1TB HDD which is sufficient for storage but not as quick as units featuring SSDs. The memory is only 8GB, which is pretty minimal for a gaming system. Also, the GTX 1050 4GB is the minimum requirement for the Oculus Rift and below the requirements for the HTC Vive. While this machine would be quite nice for the average computer user, for VR gaming purposes it barely clears the bar. As an entry level machine it is awesome, but if your wanting longevity and a bit of future proofing, make sure you look into if there is space for upgrading ram, an SSD, or the dedicated graphics card. 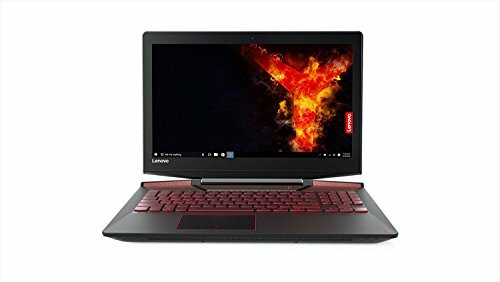 This unit from Lenovo is probably a good starting point for a VR ready laptop. It meets all of the minimum requirements for both the HTC Vive and the Oculus Rift and is the most modestly priced of all of the non-refurbished units. The 256GB PCIe SSD is small but fast, so be mindful of how much you intend on storing on the device. The battery is a non-removable 4-cell, 60Whr battery with a life of ‘up to 5 hours’ according to Lenovo. For some reason the unit is fairly heavy, weighing in at over 9lbs. which means you probably don’t want to lug it around too much. 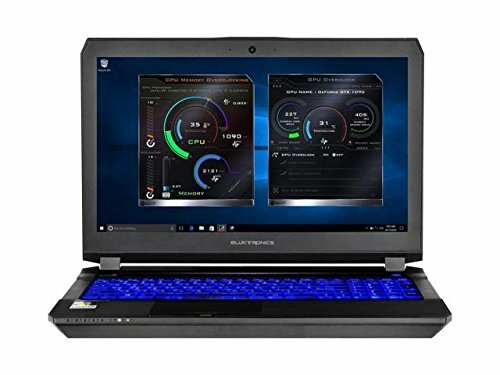 All in all, this is a decent entry level VR ready laptop. This model is the newer model of the Y720 we just reviewed. There are two major differences, however: this version has double the RAM than the 8GB model and weighs significantly less at 5.64lbs (down from 9.17lbs.) While the additional RAM is a very nice addition, it is up to you to determine whether this increase and the reduced weight is worth the price difference. 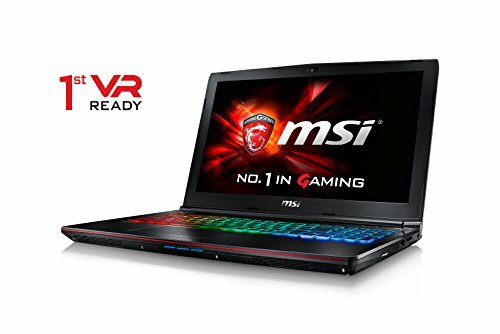 The penultimate unit we’re going to review is the MSI GE73VR Raider-003. This unit features a 17.3” full HD screen at 120Hz which makes for excellent viewing. The keyboard is from SteelSeries and has full-color backlighting. The CPU, GPU, and RAM will exceed most users’ needs for a long while. Additionally, the combination of a speedy m.2 512GB SSD and the storage of the 1TB HDD is wonderful. Weighing in at just over 6lbs. is great for a 17” laptop. As with all of these machines the battery (6-cell, 51Whr) is non-removable. If we wanted to nitpick, our concerns would lay with the fact that the screen is only full HD and not 4K capable. Otherwise, this machine should exceed your needs for a while. 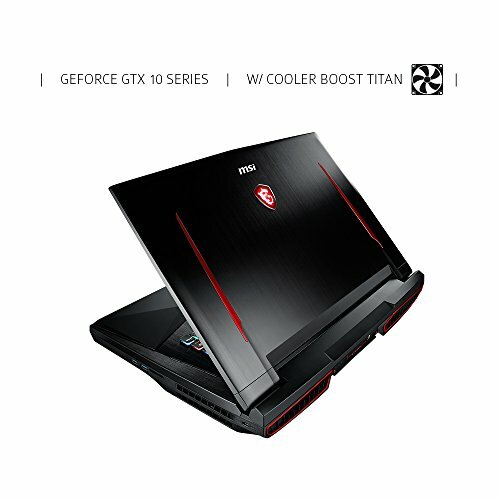 The final machine we’re going to look at is the MSI GT75VR Titan Pro 4K-082. This machine is truly titanic in proportions, coming in at nearly 10lbs and being more than 2.25” thick. The Titan is essentially a desktop in a more portable form. The Titan Pro is the only machine we’re reviewing today that doesn’t have an i7-7700HQ processor, opting for the more powerful i7-7820HK which has a slightly faster 2.9GHz base speed and is ‘unlocked’ for easier overclocking. 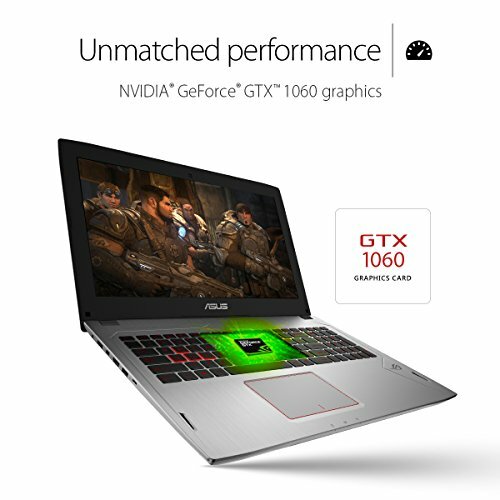 The GPU is one of the best currently available for a laptop in the NVIDIA GTX 1080 8GB model. In terms of memory, the Titan boasts a gaudy 64GB, which is practically excessive by today’s standards. A note about the storage on this unit because the online description can be kind of confusing. The listing shows 1TB HDD and 1TB SSD with Super RAID 4. As RAID 4 requires three drives, this listing doesn’t seem possible. In actuality the Titan fields two 512GB SSDs in RAID 0 but using “MSI Super RAID 4” speed boosting technology. So, this machine has striped 512GB SSDs to appear as 1TB without any redundancy. The 1TB HDD is completely separate from the RAID array. Keeping with MSI’s all-out blitz on the Titan Pro, it features a SteelSeries mechanical keyboard with individual key RGB and anti-ghost. The battery is a whopping 8-cells and 75Whr. But with a 4K screen, 3 drives, the GPU, and overclock possibilities of the CPU, the battery life will be pretty short. If you absolutely must nitpick for shortcomings you can point at the bulk of the machine, the size of its 330W power block, weak battery life, and the lack of USB 3.1 type-C ports and optical drive. Regardless, this is frankly a beast of a machine.